Nicholas Dillon had wanted a big sleepover party on Saturday with a bunch of friends. His mom said, "How about just one?" 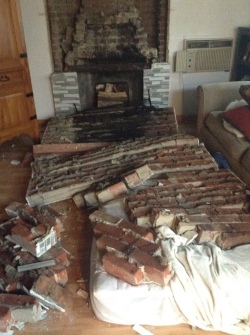 This image captured Monday, Aug. 24, 2014, shows the Dillon family's living room the day after a 6.0-magnitude earthquake caused their fireplace to collapse on top of 13-year-old Nicholas Dillon. The smaller party, it turned out, was a good thing. If the 9th grader at New Technology High School in Napa had invited a bunch more buddies to crash on his living room floor, there likely would have been a lot more injuries. Instead, only the 13-year-old was injured. 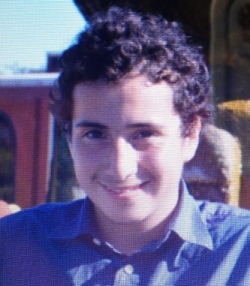 He suffered pelvic fractures when the family fireplace fell on his lower body after the Napa earthquake hit about 3:20 a.m. Nicholas's family is thankful that the X-rays showed his spine, however, is OK.
"It's a miracle," Nicholas's aunt Carmen Rosales told NBC Bay Area on Monday. "We feel grateful that things weren't worse." 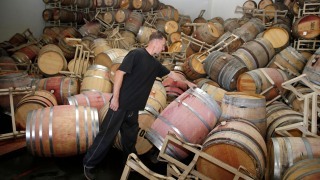 Dramatic Photos: Earthquake Wreaks Havoc in Napa Nicholas had been sleeping on an air mattress when the fireplace fell. He had given his friend, Imanol Villanueva, the couch. Fortunately, his family said, he woke up with the first jolt and quickly flipped himself over and started crawling away. 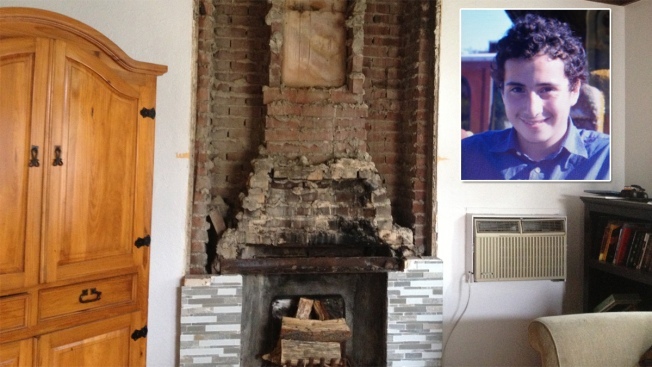 Still, the fireplace collapsed on the lower half of his body, and his brother heard his screams for help. His mother stumbled through the bricks to get him, but didn't get any response when she called 911. His family drove him to the nearest fire station, and from there, he was able to get to the hospital, where he underwent a 10-hour surgery, his aunt said. On Monday, Imanol was in tears recalling what happened to his friend. "All I remember was he started yelling my name and then I yelled his and I saw the bricks coming down on him," Imanol said. Nicholas, an avid soccer player who will be off the field for at least four or five months, was one of the 208 patients treated at Queen of the Valley Medical Center complaining of pain. His was one of the more serious cases, though, and he was airlifted to the University of California at Davis Medical Center. Aside from Nicholas, one other person remained in critical condition after suffering a cardiac emergency following the quake. Fifteen others were actually admitted to the hospital.